Artists and illustrators take guidance from Bill's back catalogue, creating unique artwork with dot to dot elements. Running through all Bill Murray classics and gems from Ghostbusters to Groundhog Day, from Rushmore to Moonrise Kingdom. If you want to take a time out from your busy schedule and find some mindfulness in a mindless world then our dot to dot is there for you. What better themes than Bill Murray? Pick up a pen, grab a crayon and spend your hours with us. Join your way through the films of one of the greatest enigma's of Cinema's history. 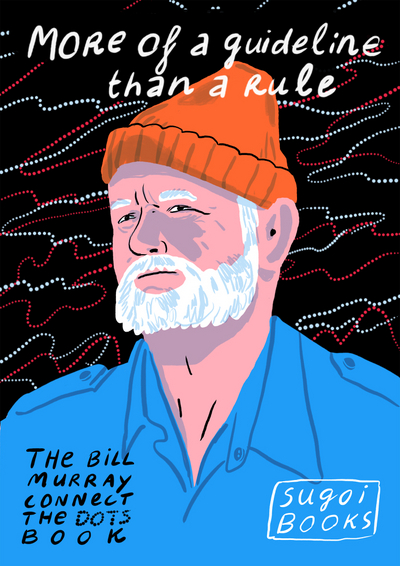 This is our unofficial tribute to Bill Murray, in dot to dot form.